Well, it finally happened: Milo Yiannopoulos, the foremost conservative bomb thrower on college campuses today, tonight found himself besieged by actual explosives. Sure, they were firecrackers; but the point stands. Milo actually had to be evacuated from his speech at UC Berkeley one hour before it was set to begin. "Calling someone a fascist—or 'literally Hitler,' if you prefer—can then be used to justify almost any action." In poor taste? Sure. Childish? Of course. And if leftist students were more rational, Yiannopoulos wouldn’t have more than a cult following. If they laughed at him and ignored him, he’d have no power. As it stands, however, Yiannopoulos’ quips have a tendency to send liberal, progressive, and self-styled “anti-fascist” (“antifa” for short) students into a tizzy. Truly, generating left-wing outrage is, as Kat Timpf of National Review has correctly noted, what Milo has based his career on. But what truly drives the lefties nuts is that everything about him doesn’t fit their rubric. He’s gay. He’s an immigrant. If he weren’t white, they’d be certain he was left-wing. Yet he’s deserted the herd. Not only that, he jovially slaughters so many liberal and progressive sacred cows that he could practically open up his own McDonald’s franchise. Milo once literally wrote a guide on how to defeat him, but these students can’t stop him. Even though he had to be evacuated tonight for his own safety, this won’t slow him down; he’s dealt with other chaos at his events before: someone was shot (not fatally, thankfully) at the University of Washington; black clad protesters burned a Nazi flag at Cal Poly; another one of his events at UC Davis was canceled under slightly less dramatic circumstances. Tonight’s protest represents an escalation, though apparently many of these anarchist rioters aren't students. Bricks were thrown, fireworks tossed, and the cops locked down the campus. Protesters also reportedly torched a police generator. All of this was justified, apparently, because they consider Milo a fascist and believe that any means may legitimately be used to shut down a fascist, including physical violence. 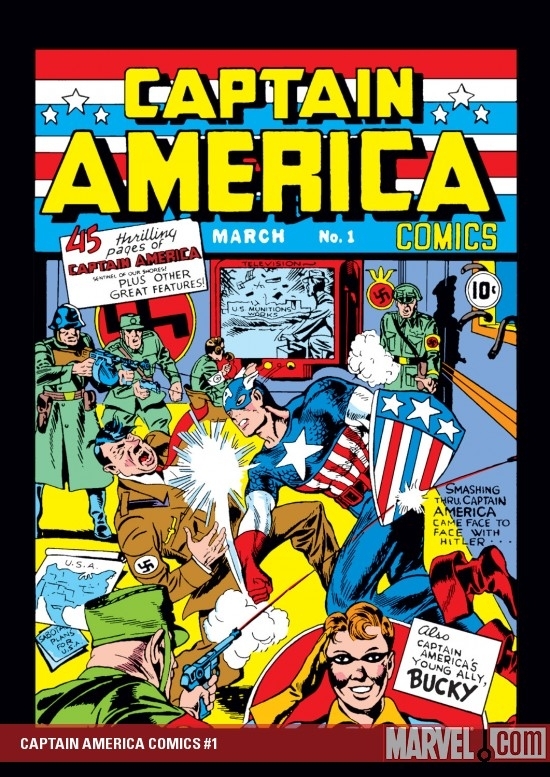 After all, fighting fascism is as American as apple pie; just consider Captain America, who was pretty big on the whole “Nazi punching” thing! The problem with that line of “reasoning” is that labeling someone a fascist—or “literally Hitler,” if you prefer—can then be used to justify almost any action, even the sort that the antifas purport to detest. Why stop at merely shutting down Milo’s speech? Why not throw some acid on him or beat him with baseball bats? Hell, why not suffocate him with a pillow in his hotel room while he’s sleeping? According to the Chronicle, Milo was expected to tee off on so-called “sanctuary campuses”—schools that, like sanctuary cities, refuse to cooperate with federal authorities when it comes to enforcing immigration law. Enforcing immigration law should be a bipartisan, uncontroversial position. In fact, 22 years ago, Bill Clinton dedicated a portion of his 1995 State of the Union address to it, which drew a standing ovation. Enforcing the law, however, is now a position that elicits riots at UC Berkeley, the home of the Free Speech Movement, and mass protests at Ohio University. College students a half-century ago fought to express their views; now, they fight to suppress the views of others. The best hope for the country is that these protesters never find themselves in any position of power. And while many of the students from tonight’s protest will likely never hold political office or a spot on the judicial bench, America won’t always be so lucky, especially when such anti-First Amendment attitudes can flourish even at elite institutions like Yale and Harvard, which have produced innumerable legislators and judges. The good news is there are also conservative students who are promoting constitutional ideals on campus, aided in large measure by Campus Reform’s parent organization, The Leadership Institute, which offers a wide variety of trainings to help them articulate and advocate for their principles. Hope is not yet lost, as those who truly believe in the value of free expression can attest, secure in the knowledge that no amount of “muscle” can ultimately overcome the potency of a sound philosophy, clearly and confidently expressed.